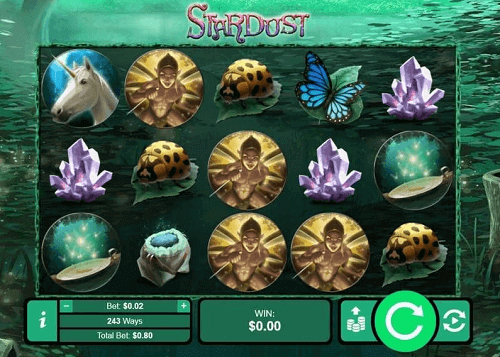 Stardust is a fairly new, exciting slot from Real Time Gaming. It is based on the popular 2007 film under the same name. Just like the film itself, the Stardust slot follows a romantic fantasy-theme and not a space-theme as one would imagine. So are you a fan of fairies? Then this just the right slot game for you. Read on to learn more about Stardust and find top SA sites to play at! Stardust features a beautiful fairy themed design and the action all takes place in a magical forest. The slot game features five-reels, three-rows and 243 ways to win. Players can expect to see several fairies on the reels, however the most common symbols include; unicorns, butterflies, willow trees, toadstools, crystals and berries. The Green Fairy is a standard wild symbol, players can collect it to form a complete winning combination or have it on a reel where another symbol is needed. This is one symbol you will enjoy collecting the most. Sometimes the green fairy icons may change to blue. Your win gets multiplied 4x when this happens. However, players are not guaranteed to get this multiplier but the regular wild symbol. More so, the 4x multipliers only apply here and no other bonus rounds. Another random bonus that might occur is the Lucky Feature. This feature turns the first to fifth reel completely wild. Players also get a free re-spin during this round. The Lucky Feature has the most potential on Stardust. The Willow Tree acts as the Scatter symbol on Stardust slot. Players need to land at least three of the symbols on any active payline. The number of free spins you trigger is dependent on how many of these willows trees you get. South African players can trigger the free spins round on Stardust in this order; 8, 15 or 50 rounds for three, four or five willows respectively. 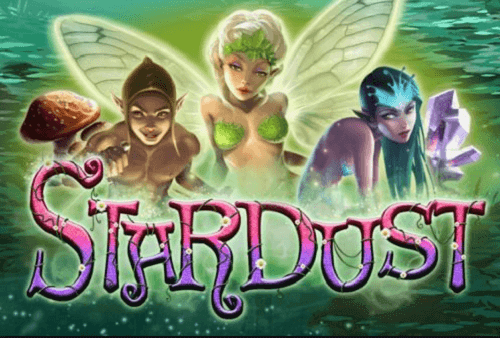 The difference between paid spins and free spins on Stardust is that Green Fairy Wilds will cover one reel for the duration of the feature. Stardust is an incredible RTG slot. It features amazing bonuses and heavy payouts to improve one’s bankroll. Mzansi players have an option to try this slot game for free or play for real money at the best SA online casinos. So why not give it a try today? !